Supplies – Krazy or Gorilla Glue and metal paper clips (size really doesn’t matter if you are dealing with your standard dinnerware; however, if you are using heavier or bigger plates, you might consider larger ones). 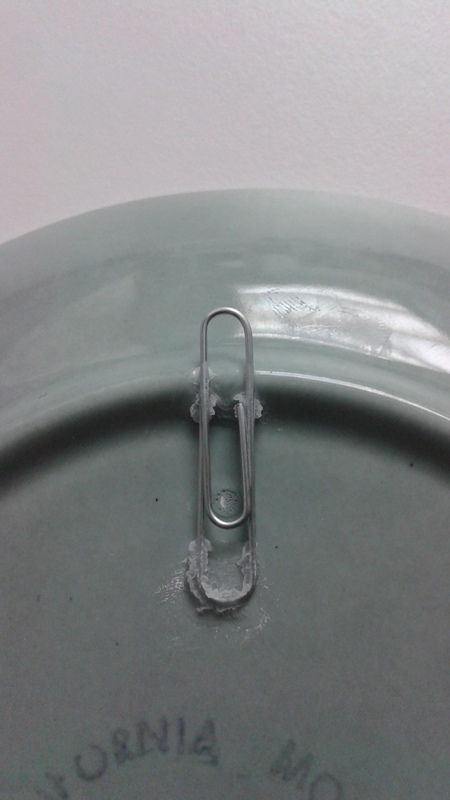 As you can see in the second photo, the entire paperclip does not lay flat against the back of the plate due to the ridge on the back. This was the case with all of my plates that I had and didn’t prove to be much of an issue. 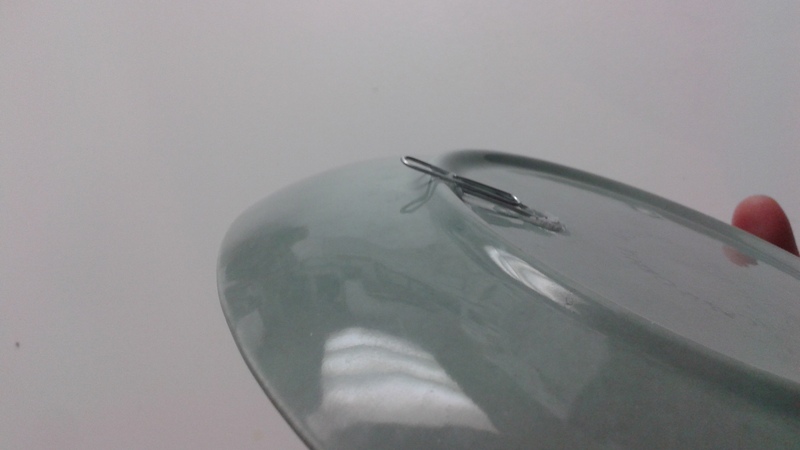 It did require the paper clip to be securely attached to the points at which it does connect, so I put on a TON of glue on these spots. For most projects, I usually let the glue dry for a bit and then move on with whatever I am doing, but since I was dealing with a heavier object (that is breakable) I waited overnight before I proceeded with hanging these plates on the wall. This was a great option for me, as I couldn’t find any nickel finished hangers and for my space I wanted that – it was even better because it cost me $2 for the glue (I had the paper clips already), while 5 plate hangers would have cost roughly $15 ($3 per hanger). Gotta love that!